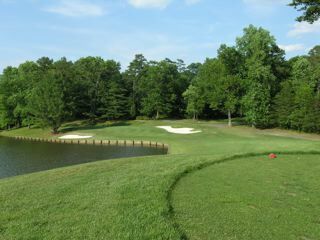 Cedarbrook Country Club was designed by one of North Carolina's most noted golf architects. 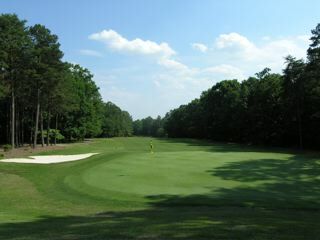 Ellis Maples, who studied under Donald Ross and whose family has perhaps the deepest roots in North Carolina golf, sculpted Cedarbrook out of rolling countryside, thick forests, and sparkling lakes. The result was another Maples classic. 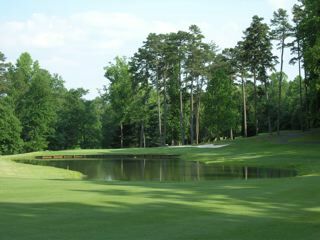 Built among the rolling foothills of the Blue Ridge Mountains, Cedarbrook Country Club is the creation of one of golf's legendary architects. The demanding Ellis Maples design is shaped out of land once reserved as a private hunting retreat for the founders of Hanes Hosiery, and their invited guests. The beautiful, undulating terrain was home to the Blue Ridge Lodge, a Quail hunting retreat built by the Hanes family in the 1920's. The Blue Ridge site was adjacent to two other hunting lodges which, along with Blue Ridge totaled more than 1200 acres of prime Yadkin Valley property. 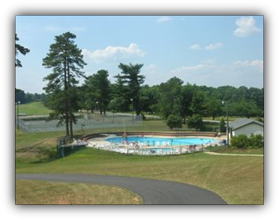 In 1962, Cedarbrook Country Club, for many years located in adjoining Yadkin County, moved to its current site near Elkin, NC. 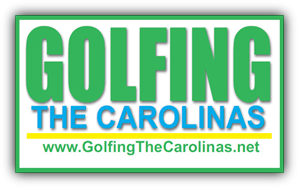 The move was made possible by Chatham Manufacturing Company, which provided the land and oversaw the construction of the new golf course. 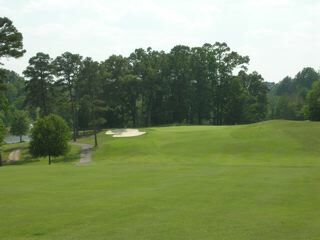 The original Blue Ridge Lodge was used as the Cedarbrook Clubhouse. It is fitting that one of the leading names in golf course architecture, the late Ellis Maples, design a golf course on land with such a distinguished history. 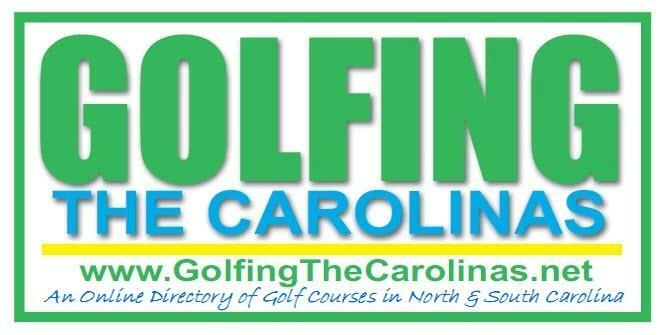 The Maples family roots in golf course construction date back to the first four courses at Pinehurst Country Club, including the famed Pinehurst No. 2. Ellis Maples apprenticed with his father and later became renowned for his own outstanding designs, including Grandfather Golf and Country Club, The Country Club of North Carolina and Pinehurst No. 5. 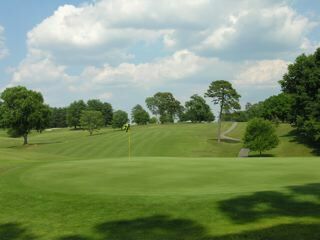 Ellis saw potential for an outstanding golf course on the Blue Ridge Lodge site, and created a fair but demanding nine holes of golf. 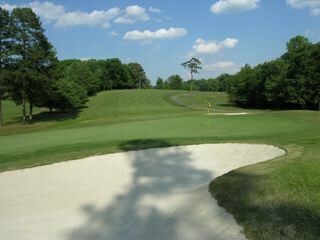 The Maples reputation was built with golf courses that are at once strategically interesting and fair. Cedarbrook Country Club is no exception. Seven years after the first nine was completed, Maples returned in 1969 to complete the second nine. 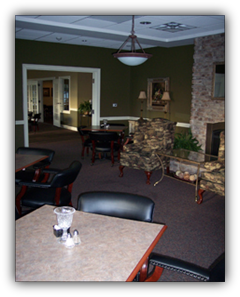 Today, Cedarbrook members and visitors enjoy a beautiful clubhouse completed in 2005. The classic clubhouse features clapboard siding, shingled gables, and a distinctive rooftop cupola, paying tribute to the early 1900's origins of the location. After a round of golf on the challenging Ellis Maples design, enjoy a meal in our main dining room, or on the veranda overlooking the golf course and picturesque foothills. Or retire to the second floor "Crows Nest Lounge", offering an even more spectacular view of the property. 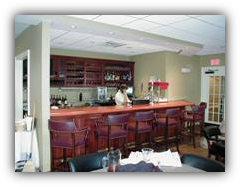 Fully appointed Men's and Women's locker rooms, a well-stocked golf shop, a comfortable Grill Room and Lounge, and a welcome staff, all contribute to a memorable visit to Cedarbrook Country Club.